Snakehole, the Miami-based all-female trio brings, the sludge like no other chick band around. 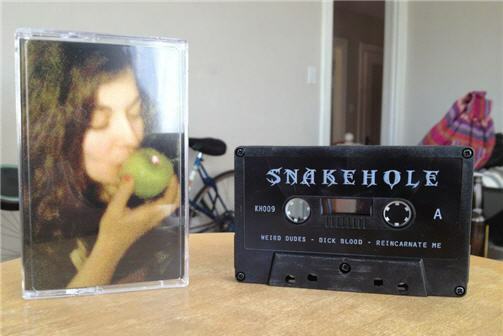 Blending noisy, quasi-metal riffage with vocals dirtier than your favorite riot grrrl jams, Snakehole is definitely a sonic force to be reckoned with. Check out their recent live performance on Squelch TV to see what you’re getting yourself into. This is for fans of all things loud, slimy and distorted. KH009 is limited to 50 hand-numbered copies, dubbed by Kill/Hurt onto a C11 cassette. Browse the Release archive. This entry was posted in SNAKEHOLE, TAPES.